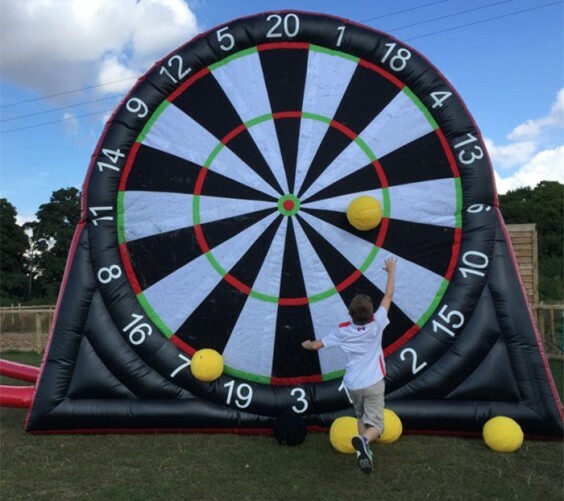 Play the new game using footballs and a giant inflatable dart board. 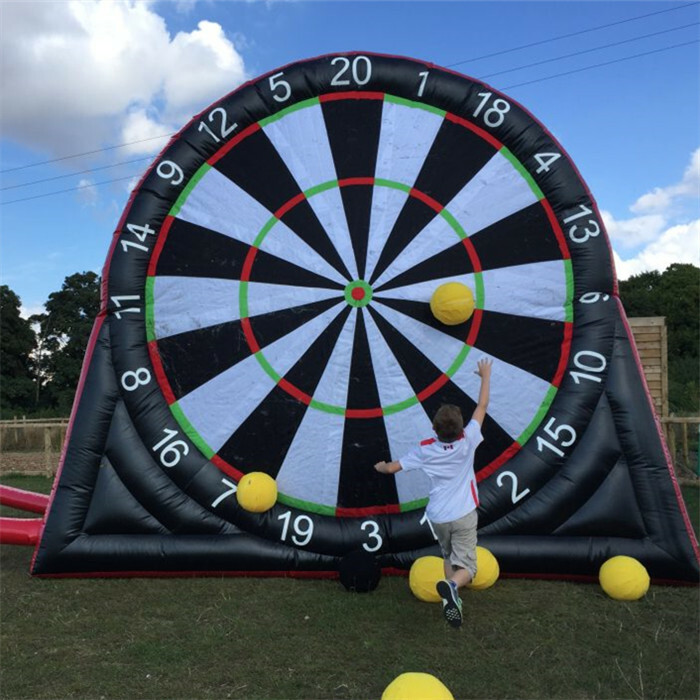 The world of inflatables has taken it up a notch by introducing an exciting Soccer Foot Dart Board that doubles up as a both a dart game and a soccer game. This inflatable soccer dart also known as foot dart is fully packed with 6 footballs, repair kits, a pump and a one year warranty. This inflatable is made of high quality material and is safe hence can be played with little or no supervision for the young ones. The material is durable to ensure that it serves the purpose for a long time and to give you value for your money. It has Velcro circles that resemble the ones from dart boards. The rules of the game are quite simple and the best part about it is they can be customized to reproduce your own game models. It is designed to make play time for you, your friends and family a period to look forward to. 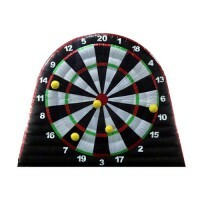 You get to interact, bond and make fun memories with our Inflatable Soccer Foot Dart Board. In this day and era where technology has taken the world by storm, this right here is the solution to get everyone out of the house for a great leisure, fun, outdoor activity. This past time activity is designed to help you keep in shape while giving you a low intensity workout. The game involves jogging, running and jumping. These little forms of exercise alleviate stress and acts as a good mood booster. Other than the sports aspect of the game, it enhances interaction and team work just like a normal football game would. It is suitable for anybody above three years. If you can kick a ball, you definitely qualify to play this game. Play time has just been made more exhilarating.